FHA Loan | Alabama | Gagliano Mortgage, Inc.
An FHA Loan is a great mortgage program for first time homebuyers as these loans offer low down payments, excellent interest rates, and very flexible financing terms. Gagliano Mortgage, Inc. offers FHA loans for homebuyers in Alabama, but especially in the Birmingham metropolitan area, Tuscaloosa, Gadsden, Anniston, Montgomery, Mobile, and Huntsville. Please read on for more information about an FHA home loan below and call us with any questions about these loans. 1. FHA allows for low down payments for homebuyers. 2. FHA allows homeowners who want or need to refinance their current mortgage to do so even if they only have a small amount of equity in their property. 3. FHA allows homebuyers with less than perfect credit to be able to purchase a home with as little as a 3.5% down payment. We can sometimes finance buyers with credit scores as low as 580. 4. FHA is a great program for financing rural properties as the FHA appraiser can typically travel farther to find comparable properties. 5. An FHA home loan allows buyers with recent credit events, such as bankruptcy, foreclosure, or loan modifications. 6. FHA mortgage guidelines allow buyers who do not have their own money for a down payment to get their down payment in the form of a gift from a relative or employer. 7. The seller can pay up to 6% of the sales price of the home towards the purchaser’s closing costs. This limits the amount of money that homebuyers using an FHA loan will need to buy a home. FHA guidelines do not allow any seller contributions to be applied to the borrower’s down payment of 3.5%. 1. Must have a 3.5% down payment, but those down payment funds can be a gift from a family member or employer. 2. Although FHA does not place a limit on credit scores for borrowers, most lenders put limits in place based on their experiences with FHA. We can often finance FHA home loan applicants with credit scores as low as 580. 3. FHA home loans allow for buyers with limited work experience, as long as their current employment is related to the field of their studies. This is proven with school transcripts and a copy of a diploma. 4. Typically, FHA loan guidelines will allow for 35% of an applicant’s gross monthly income to go towards a house payment only, as long as the total debts (including the proposed house payment) do not exceed 43% of the applicant’s gross monthly income. These percentages are not set in stone, so if you have better than average credit then there is a good chance we can allow these ratios to be higher than what is stated. This is where a phone call to us can be very helpful in your knowing whether or not you can qualify for an FHA loan. 5. Many applicants will qualify for an FHA home loan in as little as 2 years after discharge from a Chapter 7 Bankruptcy, 1 year after discharge from Chapter 13 Debtor’s Court, 3 years after a foreclosure or deed-in-lieu of foreclosure, or short sale. Maximum FHA loan limits vary depending on the county in which the property is located. Most counties in Alabama have a maximum FHA loan limit of $294,515. This means that FHA will only insure a loan up to that amount. If you are buying a home that exceeds the above limit in Alabama, then call us to discuss some other options for financing, such as a Conventional loan, VA loan, Jumbo loan, or High Balance Conventional loan. For most borrowers, an FHA loan will require the borrower to pay mortgage insurance premiums (MIP). Mortgage insurance is not to be confused with credit life insurance. 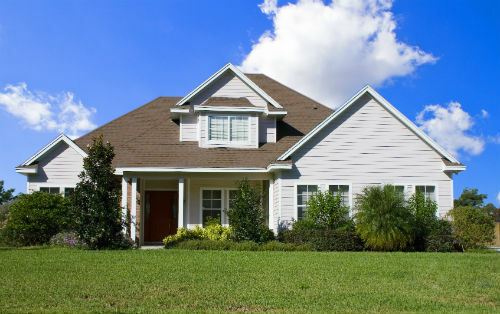 Mortgage insurance is an insurance policy that protects your lender in case of a default on the loan. In the case of an FHA loan, mortgage insurance is provided by HUD (Department of Housing and Urban Development). This insurance protection offered to lenders is an enticement for those lenders to loan money with such a low down payment, lower credit standards, and other “riskier” features. Just like with everything else in life, anything good is going to cost some money. The premiums for the mortgage insurance on an FHA loan are charged upfront at closing and monthly and are typically paid by the borrower. A homebuyer is purchasing a new home for a price of $100,000. The buyer must put a 3.5% down payment on the home at closing, so that means the borrower’s base loan amount is $96,500 (or 100% – 3.5% down payment = 96.5% of the sales price of the home). The buyer’s upfront mortgage insurance premium is $96,500 x .0175 (or 1.75%), which equals $1,688.75 in this example. FHA guidelines allow the buyer to finance the $1,688 upfront mortgage insurance premium, and require the buyer to pay the $.75 in cash at closing. The buyer’s upfront MIP can be added onto the base loan amount of $96,500, which makes the total loan amount including upfront MIP $98,188. This $98,188 total loan amount is what the buyer’s mortgage payments will be based on. The second type of mortgage insurance charged to homebuyers using an FHA loan is called monthly mortgage insurance premium (or monthly MIP). Monthly MIP is added to the buyer’s monthly mortgage payment along with property taxes and homeowner’s insurance. The amount of the FHA monthly MIP decreases as a borrower puts more money down on a home and/or if they choose a 15 year FHA mortgage. For more information on MIP or to know how much the MIP would be on a shorter term loan or a loan with more than a 3.5% down payment, call us. Get Pre Approved for an FHA Loan Today! An FHA loan is a wonderful mortgage option for many homebuyers, but especially those with lower down payment availability and less than perfect credit. If you are interested in learning more about an FHA loan, give us a call today. For more information on FHA Loans in Birmingham, Tuscaloosa, Gadsden, Anniston, as well as the entire state of Alabama, please call 205-979-4412. We make applying for a mortgage easy and quick. Apply by phone, online, or in person.